Through the dramatic and beautiful framing double cherry, the viewer looks from the embankment over the shrine. 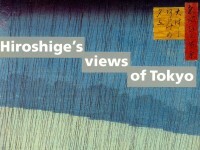 The pedestrians at left walk towards the Hashiba Ferry, and in the distance in Mount Tsukuba. 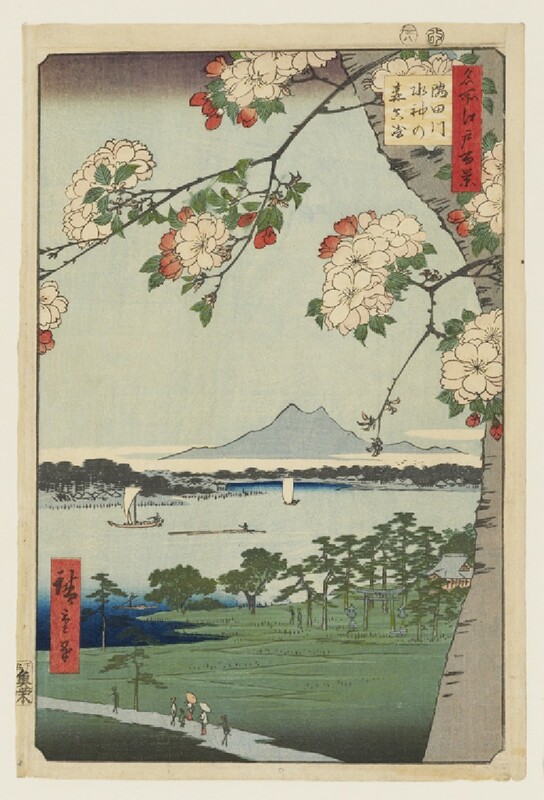 Hiroshige has used the trunk and branches of the blossoming cherry tree in the foreground as a striking framing device for this peaceful view over the Sumidagawa, Edo's most important river. The Suijin Shrine, dedicated to the river itself, can be seen in the lower right-hand corner of the print.